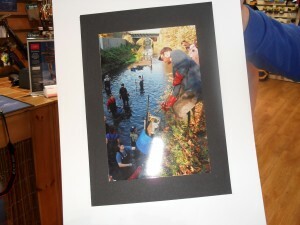 Just recently, Sally Ann Symis, volunteer and keen amateur photographer of Wandle cleanups, won a photography competition run by the Cotswold Outdoor Clothing Company and the Wandsworth Guardian. The brief was to capture a scene of outdoor adventure in the London Borough of Wandsworth, so Sally Ann submitted her photograph of our wonderful volunteers hard at work cleaning up the river at Trewint Street. 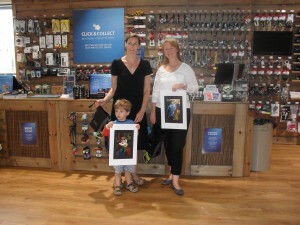 Not surprisingly, she emerged the winner and went along to the new Cotswold Outdoor Clothing store in Southside’s shopping centre in August to collect her prize – an Aquapac case to keep her camera dry and some vouchers to spend in the store – very appropriate for someone who has trekked to Everest Base Camp and Machu Picchu in the last two years! Update: this story has now been reported in the Wandsworth Guardian! This entry was posted in Uncategorized and tagged Awards, Events, Media, People, Spreading the Wandle Word, Wandle on August 5, 2013 by Erica.